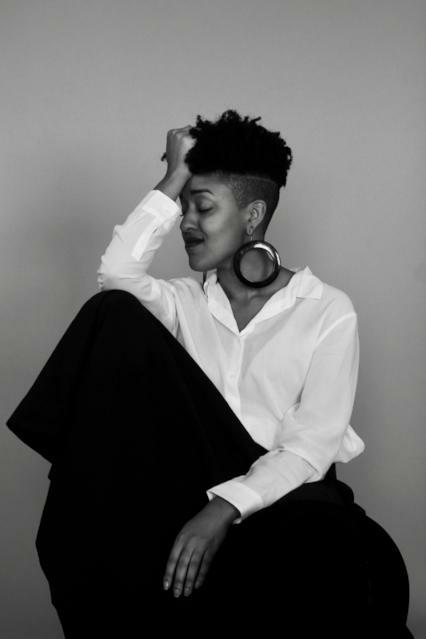 Sontenish Myers is a Caribbean-American writer-director based in Harlem, NY and a thesis student at NYU’s Grad Film program. Sontenish has written and directed 4 short films to date. In her work, racial identity, womanhood, power dynamics, and the heroic journey are often explored. She is particularly interested in doing so across genres, from dramas, science fiction/fantasy, to dark comedies. Sontenish is currently a 2018-2019 IFP Marcie Bloom Fellow in Film. You portray an exceptionally strong bond between the two women in the film, and you do it with real subtlety and honesty. What are the strong female bonds in your life and how have they shaped you as an artist? Thank you. Honestly I’ve been influenced by every single female bond in my life, from godmothers, to aunties, to my mother of course. I will say that my relationship with my little sister and my female cousins were the relationships I was drawing from most when writing and directing Cross My Heart. It was important that the intimacy between Sarah and Juliette was tactile. As I come to understand my womanhood and womanhood in general, I find myself understanding and appreciating my women elders in new ways. I think I’m injecting my curiosity about our inner lives in my work at the moment. There is such a dynamic and fascinating juxtaposition in this film between lush wide shot exteriors (such as the waterfall scene) and very intimate close-ups. How has your Caribbean background informed your visual style? I’m grateful to my Jamaican father who made sure I spent as much time in Jamaica as possible. So I had a relationship with natural landscapes that was a bit out of the ordinary for a girl from New York. Some of my most joyous memories are swimming for hours on end with my cousins in Jamaica. But the only film I’ve seen featuring a black woman lying in a body of water on her back was Darnell Martin’s adaptation of Their Eyes Were Watching God. Seeing that film catalyzed my creative addiction to compose black and brown bodies against natural landscapes. That film gave me so much permission at a young age to capture experiences I knew to be real. The first time I experienced that juxtaposition was in Lynne Ramasay’s short film Holy Cow. When I saw this film I thought, “there I am!”. She juxtaposes wides and close ups in a way that is so delicious! It was the first time in film school I saw a visual language that resembled my own. That’s why it’s so important that the film industry and film schools become more inclusive. Films provide entertainment and catharsis, but also give young filmmakers permission to tell stories in ways that are intuitive to them. 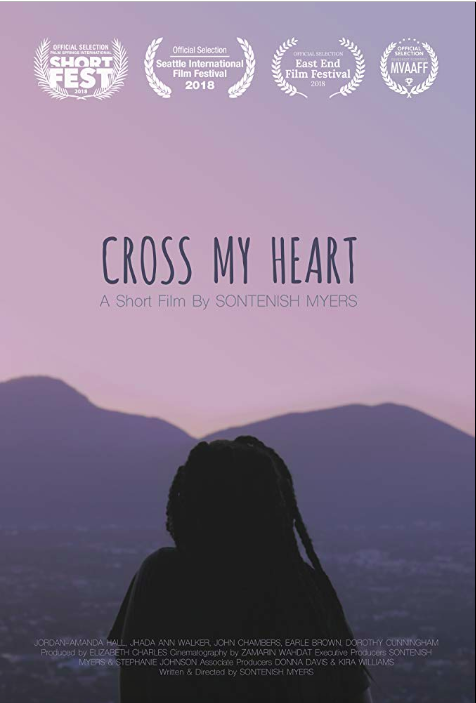 Most of my film references for Cross My Heart were films made by women, such as American Honey (Andrea Arnold), Girlhood (Celine Sciamma) as well as Lynne Ramsay’s body of work. That wasn’t intentional. Their style of filmmaking is simply something I identify with. I’m grateful that I am coming into the industry at a time where there are more women directors to look to and be inspired by. The men in the film do not inhabit space in the same way as the women do, either with each other or with the women. Your use of tight 2-shots versus wider shots, single close-ups or over-the-shoulder shots reinforce this. Why did you make this choice? Zamarin Wahdat (cinematographer) and I were very intentional about who was occupying the frame, by how much, and why. Our guiding light was the relationship between the two girls. We wanted them sharing frame as much as possible when the moment was about their relationship. But singles of them would be useful during times they feel alone or afraid. Kasi Lemmons, once said to me that your logline is your guiding light for how to use the camera. It tells you whose point of view to be anchored in. 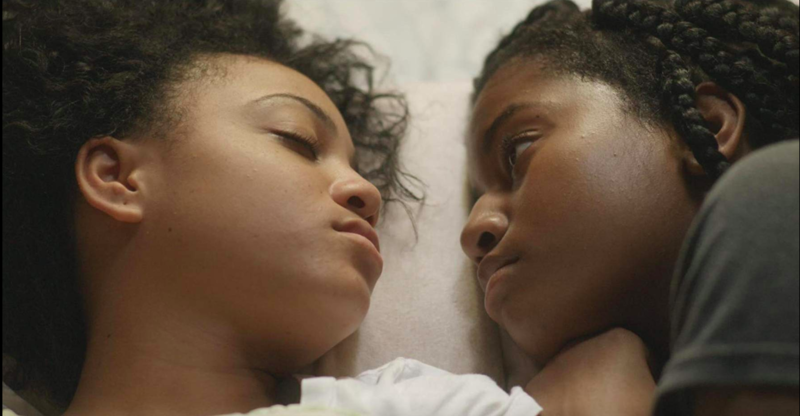 The logline of the film is “An American teenage girl visits her family in Jamaica and learns a secret that changes the way she sees the people she loves.” So what’s most important is that the camera is anchored by the American teen’s point of view first and foremost. Second comes her wrestling with the secret, as well as her relationship with her cousin. For me, the film was never about the girls’ relationship with the male characters. It was about their Love for each other and the unfair obstacles that Love faced. The camera is disinterested in whatever I’m disinterested in, and I try to have the camera stay true to the questions I’m asking in the work. With the exception of the tail credits, there are no music cues in the film. What led you to that decision? The honest answer is that it simply never occurred to me. Somehow it didn’t feel appropriate. I was most interested in the life and tension happening amongst the characters. Often I feel that black women are expected to be loud and extroverted or traumatized and victimized in cinema. While I can identify with those characteristics and experiences, I wanted to create something that gave room for black girls to be quiet. To be wrestling with something. What are some future projects that interest you? I’m really interested in the heroic journey, and portraying it in inclusive ways in various genres including sci-if. I’m currently revising my first feature, Stampede. What role—if any—do you think filmmakers like you and media companies such as the Hidden Tears Project play in promoting positive social change? I think as human beings we often crave mirrors–reflections of ourselves, our life experiences, our feelings. I think that filmmaking and media companies have the great privilege creating mirrors. A filmmaker’s role is to commit to their craft, to their voice, to community, and to truth. To be mindful of their proximity to the story they’re trying to tell. Or lack thereof. Media companies have the responsibility to be inclusive behind the camera, because that will create specific and much needed work. To actively seek out emerging voices and give them a shot to show you what they can do, create, and reimagine. Watch Cross My Heart on Vimeo!